Make a bigger impact on safety and awareness in your facility. 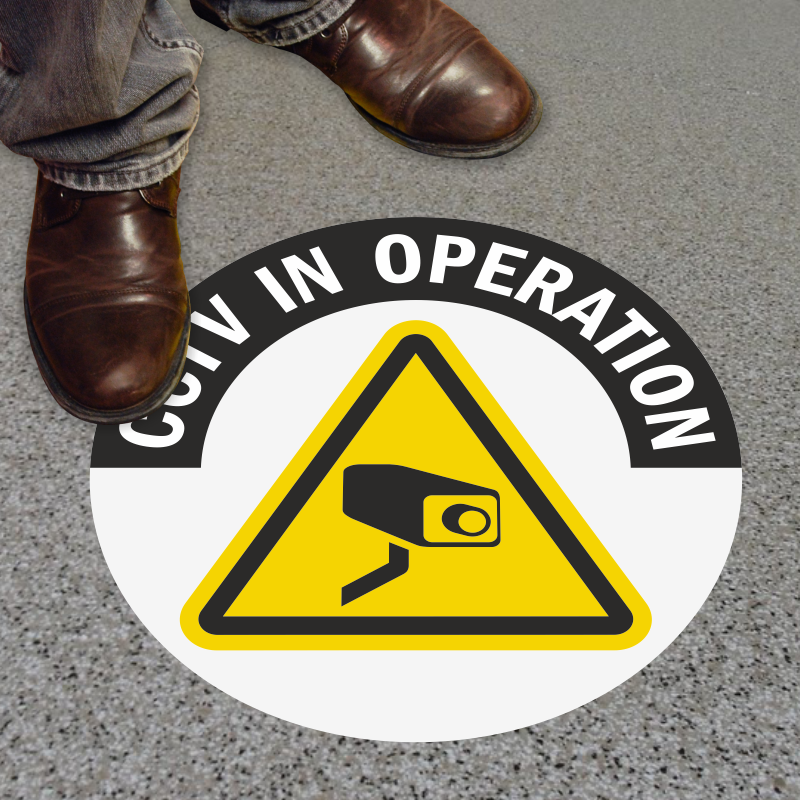 This CCTV In Operation floor sign is a self-adhesive, pebble-textured answer to your CCTV awareness program. 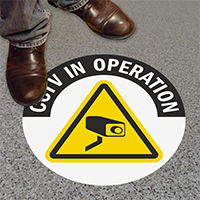 • A special overlaminate layer is made from premium non-slip vinyl with pebble-texturing for better slip resistance in high traffic areas. 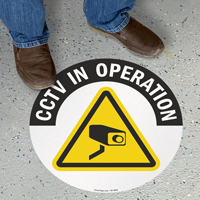 • These quick-install, self-adhesive vinyl signs are subsurface printed and protected by a special overlaminate for longer life. • Signs include a high-bond permanent acrylic adhesive backing with a peel-off liner for self-adhesion. • This floor sign will adhere to any dry, smooth and clean surface. 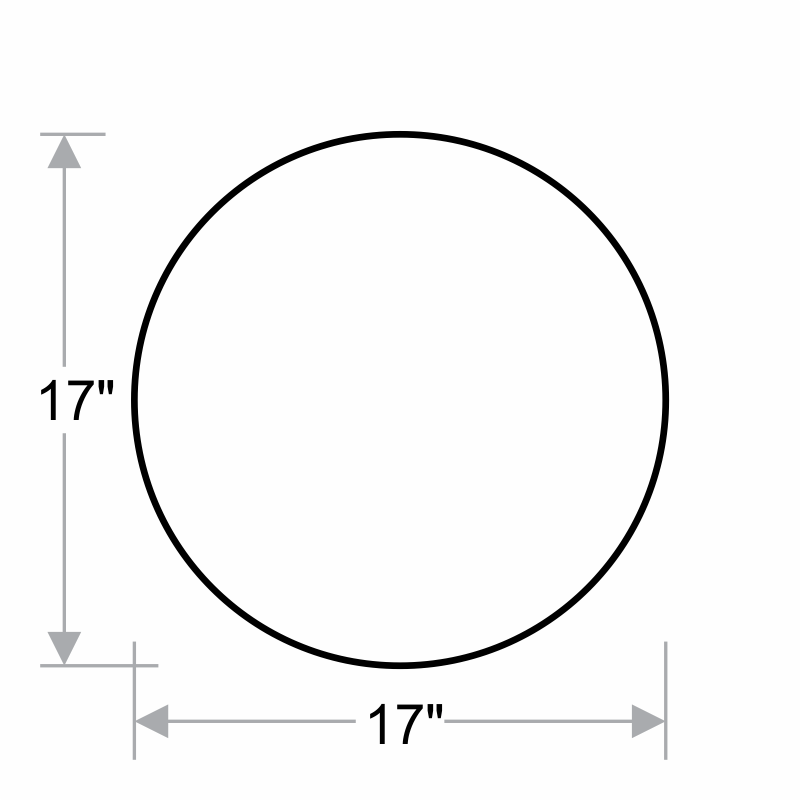 • Each circular floor sign is 17" in diameter.